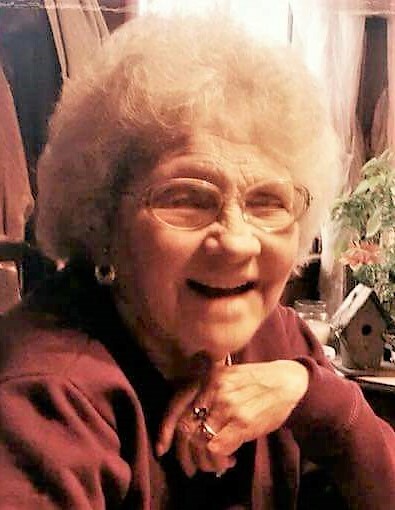 Virginia Mae "Jenny" Devers, 77, of Patriot, IN, passed away at 4:10 AM, Tuesday, June 12th, 2018 at Highpoint Health in Lawrenceburg, IN . Jenny was born in Switzerland County, IN on February 26, 1941, a daughter of the late Pauline (Willis) and Raymond Wagner. She attended school in Patriot, IN. On January 17, 1959 Jenny married Lowell D. Devers who preceded her in death on December 27, 2012. Jenny devoted her life to her family, providing a loving home to her children and working along side her husband on their farm. Jenny was a person of faith and enjoyed watching the Joyce Meyer Ministries on television. She also liked playing Bingo, Yahtzee and other card games. Virginia is survived by three daughters, Cheryl Carter (Steve), of Florence, KY; Teresa Theetge (Ed), of Vevay, IN; Shelly Blair (Chris), of Vevay, IN; by sons Don Devers (Barb), of Rising Sun, IN; and Jim Devers (Teena), of Patriot, IN; Virginia is also survived by two sisters, Sharon Smith, of Rising Sun, IN and Ruby Murphy, of Greendale, IN; by brothers, Robert "Sonny" Wagner, of Vevay, IN and Wayne Wagner, of Rising Sun, IN; also by 19 grandchildren, several great grandchildren and by several nieces and nephews. Virginia was preceded in death by her parents, by her husband, Lowell, by a brother, Raymond Wagner and by sisters, Irene Walcott, Patricia Courter, Pam Courter and Wanda Washnock.